I took some time this week to play with some virtual quilt designing. 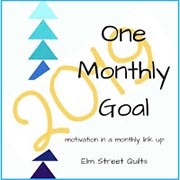 The Mother’s Choice block shown in Nancy Martin’s Perpetual Calendar 365 Quilt Blocks A Year was my choice to play with. I have had this calendar for years and am using it to inspire myself in design. Drawn on a 12 x 12 grid. What I like about this block is that when you shift the value, you can bring out the stars! You can also add and/or delete lines within the block to create alternate blocks. What I haven’t shown, but what I think would be great fun, is to sew this block with lots of colorful scraps. The block can be composed of many half square triangles creating lots of opportunities for using scraps. Those half square triangles also create lots of opportunities to experiment with value placement to create interesting designs. In yesterday’s post, I showed the Country Roads Quilt Block in straight set quilt designs. Today, let’s look at the block set on point. The next sets are also on point, but the Country Roads block has been set with simplified versions of it as well. I think my border choice needs work, but that is just personal preference (as are many, if not most, aspects of art). I drew the block with a 7 x 7 grid. Rather than look for alternate blocks to pair with it, I experimented with deleting some of the lines in the block to create an alternate block. The following quilt designs are all created from the Country Roads block and simple variations of it. All are straight sets. I am sure that there are lots and lots of variations to this block. Take some time to play and see what you can come up with!